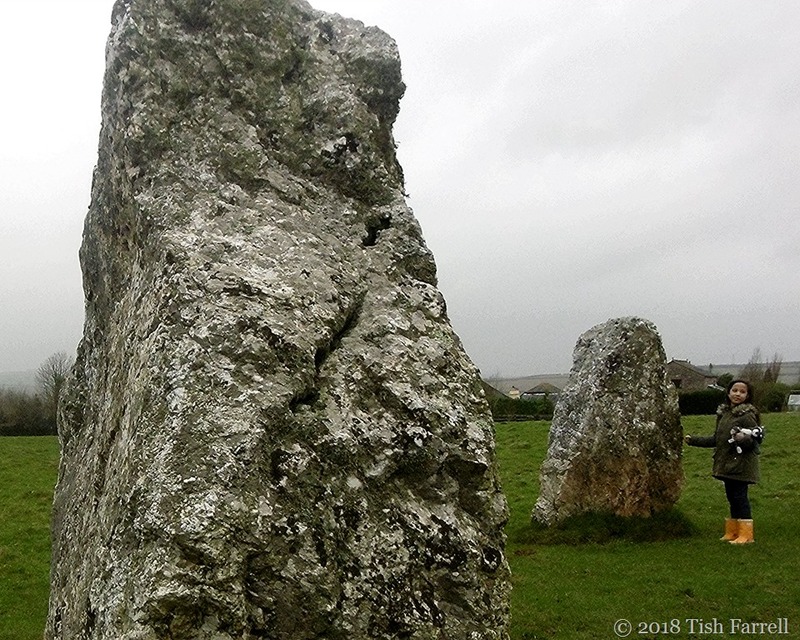 Posted on August 16, 2018 by Tish Farrell	This entry was posted in Prehistory and tagged Bronze Age, Cornwall, stone circles, Thursday's Special, Tish Farrell Writer. Bookmark the permalink. As certain Stones that are still Rolling have remarked in the past. Time Waits for No One. A somewhat enigmatic comment, Ark. 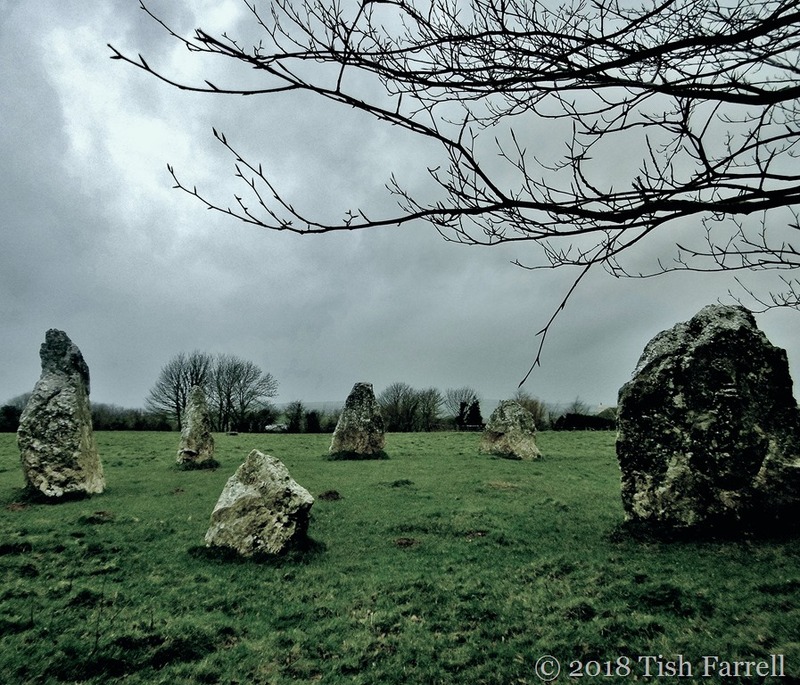 A fascinating account on the prehistoric stone circles in the UK, Tish! The dark December day lends the right kind of atmosphere to your impressive photo. Thank you for that very positive take on rather gloomy-day shots, Peter. Very insightful, wonderful photos, well-chosen Wellies. There are so many things we don’t know and may never fully understand…At least not in this time. I often think we are becoming more ignorant despite the overload of so-called ‘content’ on the internet. It’s often very light on things comprehensible or even vaguely useful. I’m pretty sure I was there when we were in Cornwall. I wish I had been photographic back then, but it was still film and getting everything processed was EXPENSIVE, so we brought home 18 rolls of 36 shots each … and it still took me more than two months to get them all turned into pictures. I could have easily don’t 10 times that many with a modern, electronic camera. As far as photography goes, I think THESE are the good old days! We also saw a similar, really TINY circle up in Ireland (Garry and I), but the 13th “head” stone had been turned into a shrine for Mary, who was now the head of a standing stone circle. I do have pictures of it and if I ever figure out how to use my printer properly, maybe I’ll be able to show it. I am NOT good with printers. I love the tiny circles. They are so personal, like a tiny neighborhood church. Just enough room for the local adherents. That’s a good point about the small scaleness of some of the circles. It was reckoned that Duloe would have required 30 odd people to construct it, though I don’t know how that figure was arrived at. It could have been a family monument of course. Or served as a centre for several homesteads, possibly all related families. It’s annoying when one has photos one can’t bring into the 21 st century – for whatever reason. Can’t beat a child in wellies, Tish 🙂 🙂 Astonishing some of these stones. All these years on and still glowering away! Can’t beat a good mystery either, can you. The why and the how and the who. What an amazing place. The photos are so fabulous they invoke a mystical feeling. Glad the photos did the trick, Brian. Thank you. Like Marilyn, I like the personal feel of this circle. I was fortunate to visit Stonehenge for the first time in the mid-seventies when you could walk up to all the stones. When I went again with our younger daughter, we had to stay on a path, not the same feel. I know exactly what you mean about Stonehenge. There’s a sense of being excluded from its landscape. How very interesting. Yet another site I haven’t visited. Its setting makes it a touch underwhelming – by a hedge, under a power line and cottages all round. On the other hand it also feels a bit as if it’s been adopted; part of the fabric of the village, which incidentally has quite a good pub. I noticed the pub when I looked up the village 😀 I also want to visit the Trethevy Quoit which is in the same sort of general direction. Sorry we missed the Quoit. Always another time 🙂 That’s what I keep saying. That’s a big compliment 🙂 Many thanks, Athena. She’s a sweetie with her cuddly cat 🙂 and yes, in my experience, archaeology involves a lot of guesswork. I think the winter light can be most beautiful, and it works perfectly with these images and adds to the mystery of the site. I do believe those who conceived and built these structures were closer to nature than we are today, and indeed saw the world – the cosmos quite differently. Thanks for all those thoughts, Pete. I do agree about people being more in tune with the natural world. The little girl in her wellies drew me in Tish, and your storytelling held me to the end as always. I love that image of the little girl and the moodiness of the images. Lovely! These places always make me feel deeply connected to the land Tish. I know exactly what you mean, Gilly. I so love this post, Tish. Thank you for introducing me to the site which I will hopefully visit too some day. Great idea to include the little girl in the circle and not just for the sense of scale. Again, amazing photos!